static const char * szAWRClass = "Winsize"
static char mdi_lParam_test_message  = "just a test string"
Definition at line 158 of file win.c. Definition at line 143 of file win.c. Definition at line 2786 of file win.c. Definition at line 71 of file win.c. Definition at line 33 of file win.c. Definition at line 7602 of file win.c. Definition at line 5478 of file win.c. Definition at line 5498 of file win.c. Definition at line 5487 of file win.c. Definition at line 5483 of file win.c. Definition at line 5493 of file win.c. Definition at line 9004 of file win.c. Definition at line 9001 of file win.c. Definition at line 9003 of file win.c. Definition at line 9000 of file win.c. Definition at line 9002 of file win.c. Definition at line 5336 of file win.c. Definition at line 26 of file win.c. Definition at line 34 of file win.c. Definition at line 30 of file win.c. Definition at line 5255 of file win.c. Definition at line 3284 of file win.c. 3319 * match internal button state. Definition at line 1113 of file win.c. Definition at line 159 of file win.c. Definition at line 4463 of file win.c. Definition at line 6291 of file win.c. Definition at line 118 of file win.c. Referenced by parent_dlg_proc(), test_dialog_parent(), test_parent_owner(), and test_SetParent(). Definition at line 6342 of file win.c. Definition at line 4199 of file win.c. Definition at line 144 of file win.c. Definition at line 2790 of file win.c. Definition at line 199 of file win.c. Referenced by test_parent_owner(), and test_SetWindowPos(). Definition at line 3139 of file win.c. Definition at line 8081 of file win.c. Definition at line 5657 of file win.c. Definition at line 5662 of file win.c. Definition at line 4728 of file win.c. Definition at line 73 of file win.c. 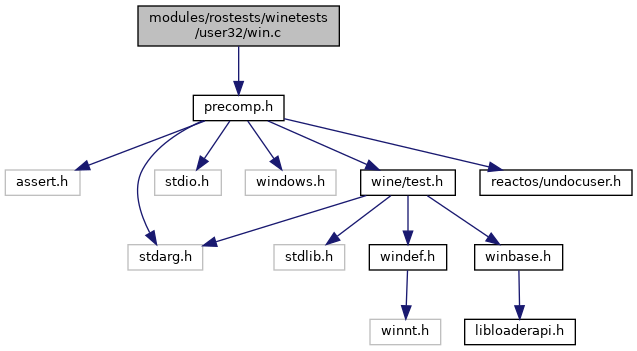 Referenced by mdi_child_wnd_proc_1(), mdi_child_wnd_proc_2(), and test_thick_child_size_winproc(). Definition at line 7591 of file msg.c. Referenced by check_update_rgn(), test_scrolldc(), and test_scrollvalidate(). Definition at line 4331 of file win.c. Referenced by check_dialog_style(), and test_dialog_parent(). Definition at line 4380 of file win.c. Definition at line 4338 of file win.c. Definition at line 669 of file win.c. Definition at line 675 of file win.c. Definition at line 183 of file win.c. Definition at line 192 of file win.c. Definition at line 989 of file win.c. Definition at line 84 of file win.c. Referenced by check_dialog_style(), check_window_style(), main_window_procA(), run_NCRedrawLoop(), test_csparentdc(), test_GetMessagePos(), test_GetUpdateRect(), test_keyboard_input(), test_mouse_input(), test_scrolldc(), test_scrollwindow(), test_SetActiveWindow(), test_SetForegroundWindow(), test_SetWindowPos(), test_window_from_point(), test_window_without_child_style(), and window_from_point_proc(). Definition at line 7333 of file win.c. Definition at line 8174 of file win.c. Definition at line 6570 of file win.c. Referenced by cbt_hook_proc(), check_parents(), destroy_dialog_owner_proc(), mdi_child_wnd_proc_1(), post_quit_dialog_owner_proc(), reparent_dialog_owner_proc(), reparent_owned_dlg_proc(), test_GetWindowModuleFileName(), test_handles(), test_MDI_child_stack(), test_MDI_create(), test_parent_owner(), and test_shell_window(). Definition at line 171 of file win.c. Referenced by peek_message(), and test_mouse_input(). Definition at line 747 of file win.c. Referenced by RegisterWindowClasses(), and test_SetWindowLong(). Definition at line 848 of file win.c. Definition at line 1803 of file win.c. Definition at line 1912 of file win.c. Definition at line 1784 of file win.c. Definition at line 2012 of file win.c. Definition at line 2070 of file win.c. Definition at line 5786 of file win.c. Definition at line 8070 of file win.c. Definition at line 8076 of file win.c. Definition at line 3914 of file win.c. Definition at line 2418 of file win.c.